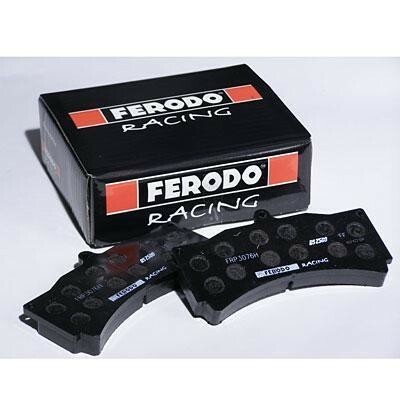 Ferodo compound code = "W"
The DS1.11 is one of Ferodo's latest racing brake pad offerings. It has slightly less bite at high temps. vs the DS3000, but doesn't decompose nearly as quickly under extended heavy use on the track. The DS1.11 is known for its extremely flat torque curve, which means that as temperatures go up, the response through the brake pedal remains consistent. If you want a pad that you can thrash all day without having it burn up or fade, the DS1.11 is a great choice.